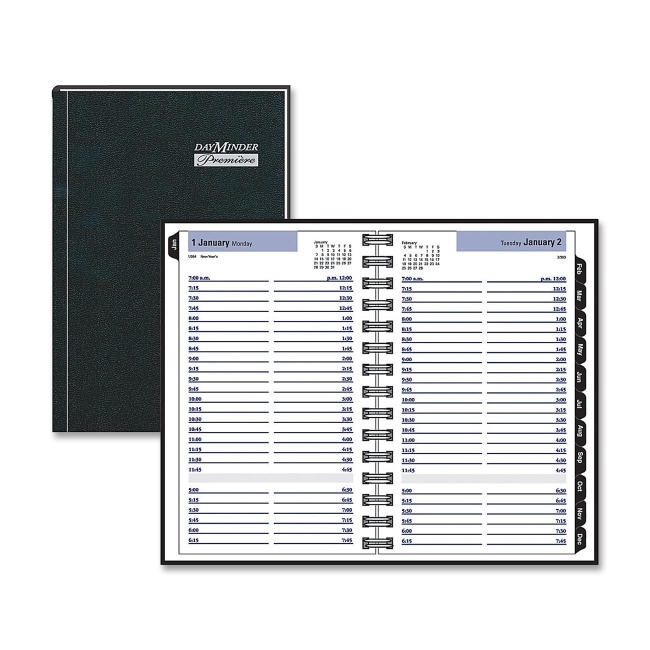 Media Size: 4.88" x 8"
At-A-Glance G100H-00 Dayminder Premiere Appointment Book - Black 4.88" x 8"
Daily desk appointment book features a one-page-per-weekday format. Planning pages range 12 months from January to December. Each page includes quarter-hourly appointment times from 7 AM to 7:45 PM, and past and current months reference. 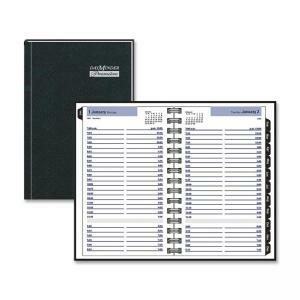 Appointment book offers a professional hard cover with concealed wire binding, perforated corners for easy reference, tabbed monthly dividers and a storage pocket. Calendar is printed on quality recycled paper with 30 percent post-consumer material.